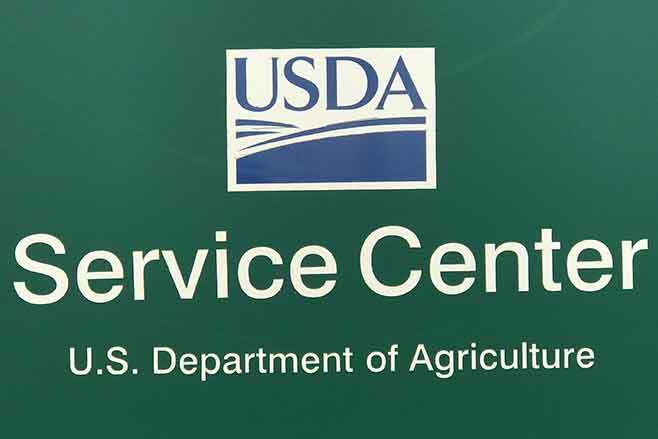 The USDA Service Center will be closed, Monday, February 18, in observance of President's Day. The office will reopen Tuesday, February 19. With the new Farm Bill Noninsured Crop Assistance Program (NAP) service fees for coverage will increase from $250 to $325 per crop; $750 to $825 per county for all crops and from $1875 to $1950 maximum per producer in all counties. The buy-up option will also be available again for crops other than grass. Service fees that were remitted with applications by December 19, 2018, will be considered fully paid for crop year 2019. County offices will continue to sell policies with the current rate and the 50/55 coverage, as the National Office is working on procedure of how to implement the increase of fees and the option for buy up coverage for the 2019 crop year. The deadline to purchase a 2019 policy for forage sorghum, dual purposes and common millet is Friday, March 15th. County Offices are not authorized at this time to perform any required or requested farm combination reconstitutions. This normally occurs when there a new Farm Bill in place to prohibit any reallocations to base acres after the combination is completed. Crop acreage bases that had been reduced for enrollment into CRP and the CRP contract has expired, the base acres currently cannot be restored, due to the expiration of the 2014 Farm Bill. The 2019 ARCPLC enrollment date has not been announced, therefore those base acres will remain reduced at the tract level until guidance on ARCPLC signup and options for CRP re-enrollment for those acres are determined. Producers who earned over $600 for calendar year 2018 through FSA should have received their 1099 for tax purposes. Producers who have questions or have not received the form can contact the FSA office to receive a copy and/or a detailed copy of dates when payments were issued if discrepancies are discovered. Be reminded, the MFP (Market Facilitation Program) payments could have two separate deposit dates. There are several producers who received the first payment on 50% of the harvested production prior to the second payment on the other 50% of harvested production being issued, therefore the MFP payment total could be in two separate deposits. Producers will need to add the two deposits together to determine the amount reported on the 1099. Scott Smith, with the Cheyenne County NRCS Office is currently overseeing the Kiowa County NRCS Office. Scott is normally in Eads on Wednesday's after 10:00. Producers can call the Cheyenne County NRCS @ 719-767-5648, ext. 3 the other days of the week.